Me, you, your mat and Sade! Is there anything else to say...?! "Whatever I'm doing, I'm in that moment and I'm doing it. The rest of the world's lost... If not, what's the point of doing it?" In homage to the ultimate shero, Queen Sade, we'll be flowling to a full Sade catalogue of tunes, whether you're a Smooth Operator or Soldier of Love, let's move and ride on the waves of her music and voice, indulging in still poses and get deep into the hips and the heart in the hope of getting lost on an inward journey. 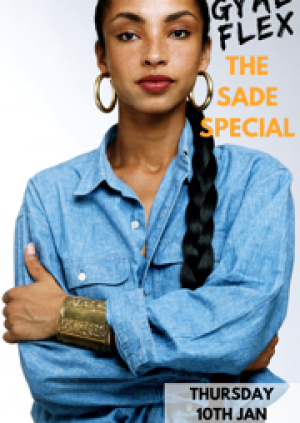 We're also offering a limited number of tickets that include our Sade Special with the Gyal Flex girls! Our events sell out quick time, so don't miss out, you know FOMO is a muva! BOOK YOUR TICKET. Bring your bredrins, bring the mandem and bring that good good energy.